The makers of the movie released the first look on New Year's Eve. Biopics on cricketers’ lives have been very well received by the fans in recent times. A couple of years ago, the biopic on India star MS Dhoni, called ‘MS Dhoni – The Untold Story ‘ had taken the Box Office by storm. A few months later, a docudrama on legendary Sachin Tendulkar’s life had received equal adulation and support from the fans. There is another one in the making on India’s 1983 World Cup victory that stars Ranveer Singh. The cricket-obsessed nation now looks set to witness yet another biopic on a cricketer’s life. Telugu actor Nani is all set to portray a cricketer’s character in his next outing titled Jersey. The film is directed by Gautam Tinnanuri. 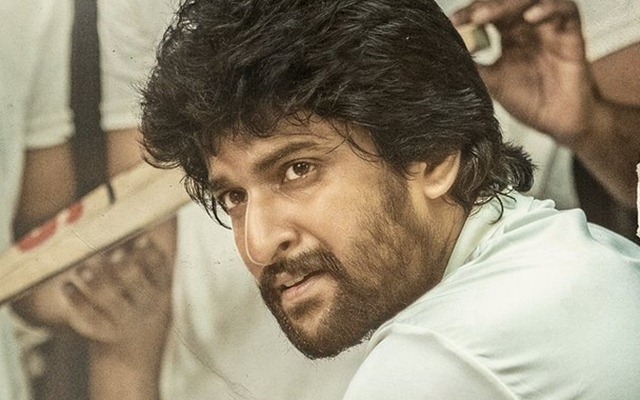 On the New Year’s Eve, the makers released the first look poster of Nani from Jersey. The makers of the movie are yet to confirm the name of the cricketer who has been characterized by Nani. However, the storyline suggests it is based on the tragic life of former India cricketer Raman Lamba. It was the 1996-97 season where Lamba had scored heavily and made it to the national team. Lamba played in four Tests and 32 One-Day Internationals for India. He had also represented Ireland in the unofficial ODI matches. But his career came to an unfortunate end when he died after slipping into a coma due to internal haemorrhage, three days after being hit on the temporal bone by a cricket ball while fielding in Bangladesh’s league cricket. A decorated batsman in the domestic circuit, Lamba scored 6362 runs at an average of 53.91 in 87 matches, scoring 22 centuries including 5 double centuries. He also made a promising start to his ODI career, scoring 64 in his first match and 102 in his sixth match.